Yes, it's Another Book Signing! By now y'all must know that Grandma J's neighbor Joan is also her BFF. 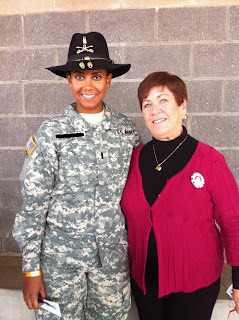 Joan doesn't have family here in Texas, and until SGM John came back in August, Grandma J was family-less too. 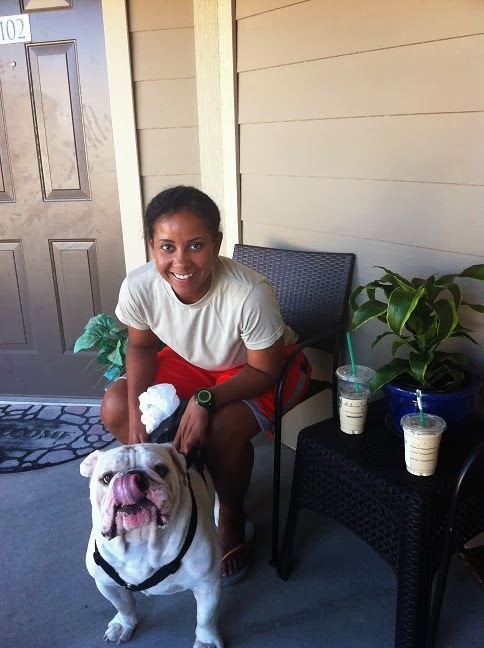 Joan and Grandma J walk their dogs together daily. 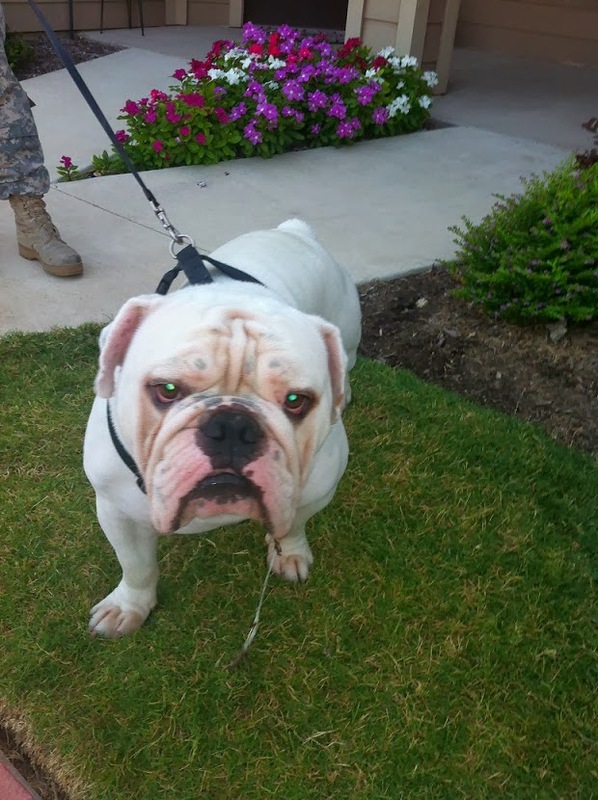 Max is a sweet lovable English Bulldog. He loves JJ to pieces, and is the most passive dog I know. 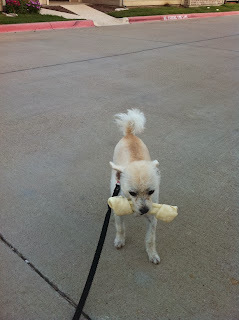 JJ on the other hand is mean to Max, and took this rawhide bone right out of Max's mouth. I don't know why he is so selfish and mean to Max. Among a plethora of common interests, which Grandma J will tell you about in time, she and Joan share the same conservative ideology. Grandma J will avoid getting all political on you because, well, she loves you anyways...and always. So, when Grandma J told Joan that the woman she admires more than GrapeNuts, and the woman who inspired her to give up her career in publishing to become a soldier and serve her County, would be signing her latest book 150 miles away in the Plano, TX.......it was game on. 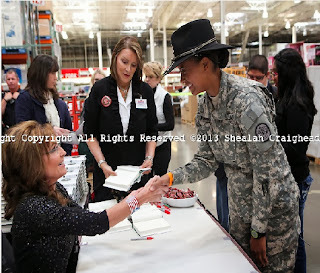 Joan told her commander she wanted to go to the book signing and meet Governor Sarah Palin, but that the book signing was on a Tuesday...her commander ordered her to go...well, ordered is a strong word, but he did encourage her. We arrived at the Costco where the book signing was being held and got in line along the outside wall where a couple about 150 people were already camped out. About an hour before Gov. Palin arrived, a representative from Costco came down the line to inform everyone that only Costco members were allowed in for the book signing. There were not offering one day passes. Well, where Grandma and Joan live, they are 70 miles from the nearest Costco, and don't have memberships. The remedy offered by Costco was to simply buy a membership. 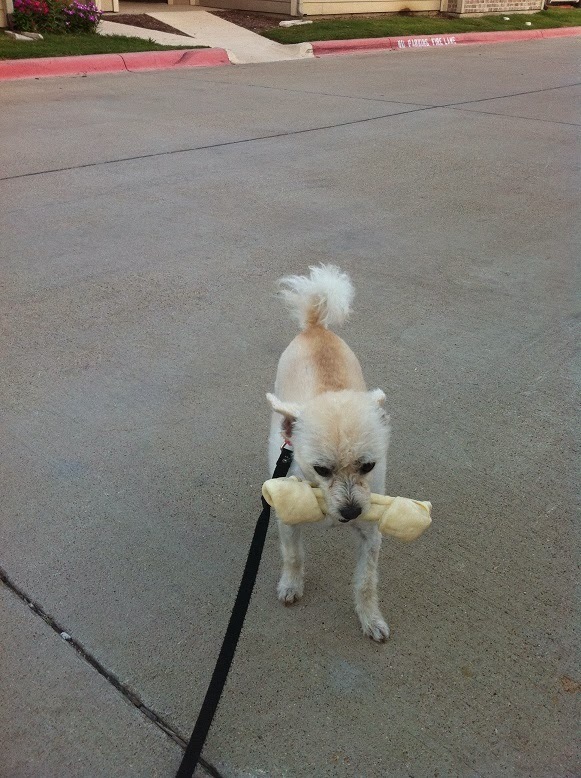 So be it, Grandma J decided to buy one, so did Joan. Although there were other photos, this is the photo I love the most of Joan with Governor Palin. It was taken by the event's photographer, and I've ordered a framed copy for Joan. I must say, the trip was well worth it, and a stop at In n Out Burgers on the way home was the icing on a very good day. Fun road trip...what a wonderful surprise to have your memberships bought! You rock, Marey. I bet you can outrun Sarah Palin! How awesome is this??? VERY!!!!! Love that someone was able to thank Joan for her service. I love this so much. I am a little worried about our upcoming election. My homeless friend Alexander showed me a picture of HC this morning in the paper and told me she was his worst nightmare. I gave him an extra hug.